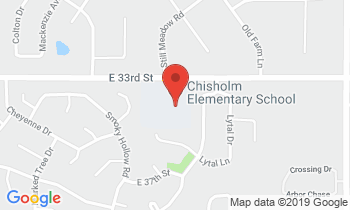 Welcome to Chisholm Elementary! We are excited and looking forward to having you as part of our family. Our school is special because of you–a group of committed and terrific people who work together. We wish the best for every student. Success is the result of a team effort including staff, students, and parents. Our staff of devoted teachers and support personnel have the academic and interpersonal growth of each student as our primary focus. We encourage you to have regular conversations with your child’s/children’s teachers about school and their work. When parents are actively involved, children see that school is important and you are committed to their success. At Chisholm, we strive to maintain a positive yet productive environment. Students also have the responsibility to learn and allow others their right to learn.